ASAP also redesigned the original Beaver into this Beaver RX550 Plus. Both it and the Chinook Plus have a new wing using dope and fabric, which necessitated closer rib spacing and other internal wing improvements. ASAP's latest offering is the singleplace Beaver meets Canada's ultralight criteria but weighs too much to fly as an ultralight in the U.S. 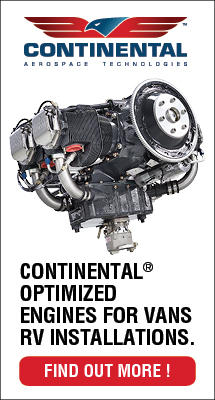 Both Chinook Plus and Beaver RX55 Plus are available with the Rotax 503, 582, or 912 engines or the HKS 700-E.
Full Lotus Floats are a popular option for the Canadian-built aircraft. ASAP's sister company, Summit Aircraft, offers uniquely designed single and two-place powered parachutes to offer flight enthusiasts another alternative. The Beaver and Chinook ultralight-like aircraft are arguably two of the bestknown lightweight designs coming from Canada. Aircraft Sales and Parts, more commonly known as ASAP, is the company that rescued and now manufactures and sells these designs, along with a powered parachute from its sister company, Summit Powered Parachutes. The tale of ASAP's involvement with the Chinook and Beaver offers insight into ultralight progress - Canadian style. A History Lesson Perhaps the most famous ultralight to come out of Canada is the Beaver. With a reported 2,200 flying units since the early 1980s, it's a successful design. However, due to corporate missteps by the companies that owned the brand, the Beaver series was nearly lost. Originally, the Beaver models were manufactured by Spectrum Aircraft Inc. Reorganization left the ultralight in the hands of a company called Beaver RX Enterprises. In 1993, that company closed its doors and stranded thousands of Beaver aircraft owners, along with all the dealerships that sold and serviced them. Luckily, Brent and Paulette Holomis, the owners of ASAP, stepped in to fill this void. Having already saved the Chinook ultralight following the closing of Birdman Enterprises, ASAP was in position to help. Brent explains, "Because the Chinook Plus 2 is similar in construction to the Beaver, we were approached by some Beaver dealers and customers to see if we could somehow provide them with parts for their existing aircraft." The company did more than just take over these disappearing designs. Thanks to focus and a related machine shop business, ASAP was able to make improvements on both airplanes. Today, both Chinook and the Beaver have the suffix Plus added to them to denote the additional design work done. ASAP's array of computer-controlled machines allows the company to build parts in-house when many other manufacturers must go outside to obtain similar quality hardware. Those who compare ASAP to Quicksilver Aircraft, which also has significant machining capability, are close to the mark. ASAP operates out of two locations. The company manufactures all parts and components for both Chinooks and Beavers at its headquarters in St. Paul, Alberta, Canada. Another location, in Vernon, British Columbia, handles all airplane inquiries and processes part orders. Technical support and new product testing is also conducted in Vernon. ASAP also has four corporate divisions: Steel Breeze Powered Parachutes (www.SteelBreeze.ca), UL Parts (www.ULParts.com), PPC Canopies (www.PPCCanopies.com), and Summit Powered Parachutes (www.Summit- PPC.com). The Chinook Before being rescued by ASAP, some 700 Chinooks had been manufactured by Birdman Enterprises, which did a great job of originating this machine. Canadians in particular, and ultralight enthusiasts all over the world, celebrated ASAP's support of this unique light aircraft when the company took over the design in 1988, and reintroduced the design in 1989. Though the Chinook's wide cockpit gives it a pudgy appearance from some vantage points, the design slips through the air quite well. It has light and powerful ailerons, which makes it easy to guide through the air. In general, the plane's handling is quite pleasant despite, or perhaps because of, its unorthodox shape. The Chinook was not always fully enclosed; ASAP added a full Lexan enclosure for the Chinook Plus, making a virtual greenhouse surrounding the pilot and passenger with many square feet of clear plastic offering an unlimited view. Even in colder northern climates, that enclosure provides a reasonably comfortable environment. Entering a Chinook means lifting yourself over about 6 inches of structure, which could prove a bit challenging for less flexible aviators, but once you swing into position you'll love the roominess. Even with a rearseat passenger's feet on rudder pedals right alongside your seat, space is plentiful. If you have some extra girth yourself, the Chinook Plus might accommodate you more comfortably than some other designs. 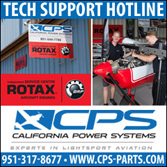 ASAP offers the Chinook with the Rotax 503 or 582 engines, the HKS 700E, or the more powerful Rotax 912. The Beaver As it had done with the Chinook, ASAP added value to the Beaver RX550 by finishing the wing in conventional dope and fabric (Ceconite), rather than the original pre-sewn Dacron envelopes. Using Ceconite increases manufacturing time and adds quite a few pounds (with paint), but it lasts much longer, especially when an aircraft is stored outside. With the conversion to the Ceconite wing covering also came a change in rib spacing from 18 or 20 inches apart to 6 inches apart, which allows the wing to hold its airfoil shape better and improves performance slightly. ASAP also increased sleeving in the leading edge and replaced cable bracing with tubing. Subsequent to these changes, the design was subjected to full static loading, with independent analysis offered by a local university. As proof of the design's longevity, Brent reports that one Beaver RX550 has accumulated more than 2,000 hours while on duty in South Africa. Those who own older RX550s may purchase a conversion kit to upgrade the earlier models. Build time for the RX550 kit is estimated by ASAP as 150 to 180 hours. The builder simply assembles the kit, no component fabrication is necessary, and part accuracy is good- thanks to the company's computercontrolled machining. ASAP also supports a wide selection of engines for the RX550. Builders can choose a Rotax 582 or 912, but ASAP also works closely with HPower Ltd., in fitting the HKS 700E four-stroke engine on the Beaver airframe. The control system of the Beaver RX550 Plus is quite conventional, using pushrods to control ailerons, and cables to effect rudder movements. It has full-span ailerons, which Brent says improves the handling significantly on the RX550 Plus over the original version. 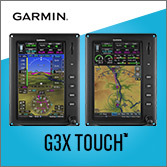 The RX550 Plus does not have flaps, flaperons, or other glide path control devices, though ASAP indicated these devices might be added in the future. Nor does it have trim; however, an inventive kit builder could create a trim system. The Beaver RX550 Plus does have the ultralight-like nose cone and windscreen, but it opens to the sides, giving open-air enthusiasts a machine they'll enjoy. A Single-Seater Both the Chinook Plus and RX550 Plus are two-place machines. With the ultralight exemption in the United States expiring on January 31, American owners of these two-place machines will need to convert their aircraft to experimental light-sport aircraft (E-LSA) or experimental amateur- built status to remain legal, while our Canadian friends may continue to fly these machines under Canada's ultralight regulations. ASAP has now introduced a singleseat version of the Beaver. This recent offering brings a pleasantly light version of the former RX35 model powered by a 40-hp Rotax 447 for $17,500. At a typical empty weight of 340 pounds, the Beaver SS doesn't qualify as a Part 103 ultralight here in the United States, but it does meet Canada's rules and offers 300 pounds of useful load. Americans who relish single-seat aircraft could build this machine as an amateur-built aircraft and fly it as a sport pilot. Which Will It Be? Both the Beaver and Chinook have enjoyed a rich part of Canadian light aviation history. Both have good reputations for safe operations and longevity. Ask ultralight or microlight pilots around the world and many will be familiar with the Canadian designs. With the exception of Murphy Aircraft Manufacturing's Rebel series of light aircraft, the Beaver and Chinook are some of the most recognizable lightplanes to come from America's neighbor to the north. Given the current parity between the American and Canadian dollar, the price in Canada is essentially the same as in the United States. ASAP lists an HKS-powered Chinook 2 Plus for $26,700, only $700 more than with a Rotax 582. While the Rotax has a little more power at a bit less weight, the HKS represents a great buy, especially if you prefer four-stroke power. On the contrary, a Rotax 912-powered Chinook 2 Plus will cost $36,000. An HKS-powered Beaver RX550 Plus lists for exactly the same price as the Chinook, though it doesn't offer the Rotax 912 version. However, the Beaver will fly adequately with the Rotax 503, and using a B gearbox, you can obtain the full airplane kit for less then $21,000. In the age of $100,000 light-sport aircraft, it's a great value. 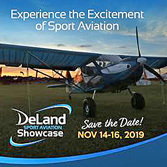 As these are homebuilt aircraft, meeting the definition of light-sport aircraft, American pilots may build the aircraft in the experimental amateur-built category and fly them with a sport pilot certificate, using a state driver's license serving as evidence of medical fitness. Of course, pilots with higher certificates may also fly these aircraft. A View from the Summit As evidenced by the list of divisions ASAP has created, the company believes strongly in offering a broad range of products. To that end, Summit was formed to produce powered parachutes (PPCs) and thus serve another subset of the recreational aviation market. 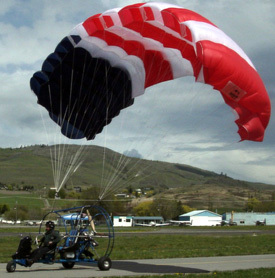 The company's latest machine, the Summit II, has design qualities that bear more resemblance to conventional aircraft than many other powered parachutes. Powered parachutes use canopies, or parawings, as their wings, with most coming from the same few suppliers. Summit claims to be the first to use cell canopy stiffeners. These are thicker panels of cloth sewn into the leading edge openings of a canopy's individual cells to enhance canopy opening during the inflation period. Following Summit's lead, other manufacturers have now adopted the idea. Summit also uses distinct and separate seats for each occupant. Older powered parachute designs had seats that pressed the front occupant between the legs of the aft occupant. Many pilots, especially larger ones, find the separated, individual seats more comfortable. Summit's carriage allows a much steeper deck angle on landing than other brands, more than three times higher, according to Summit spokesperson George Wood. The benefit of this is that a larger deck angle tends to cause initial contact only on the rear wheels rather than all three at once. The company uses all-anodized finishing on the airframe's 6061-T6 tubing. While this is common on fixed-wing aircraft, most PPC manufacturers powder-coat their airframes. While such painting can be done precisely, the worker must be skilled at the task, and painting still doesn't cover tubing as thoroughly as does anodizing, which covers surfaces inside and out. Because anodizing is not as thick as paint, Summit believes it better permits fitting of precisely made parts. Anodizing costs more but the company feels the results are better. Summit uses a central lower beam on its PPC carriage similar to many ultralight aircraft with tail booms. Summit calls that member a "body tube fuselage," and it distinguishes the design from that of other powered parachutes. Following this construction style with riveted gussets, Summit was able to make a strong design that is notably lighter than some of its competitors'; many other PPC models are 25 to 50 pounds heavier for a comparable model. The Summit II's foot pedals are different than those of other PPCs; they relate well to rudder pedals on fixedwing aircraft. Most PPCs use foot bars, which tend to be nonintuitive to fixed-wing pilots. In another nod to conventional aircraft controls, the Summit II's throttle moves forward to produce more power. Traditionally trained pilots may find adapting to the Summit PPC is easier than dealing with throttles that pull aft to add power (the "joystick" method). Summit positions the engine weight directly over the rear wheels whereas many PPCs place the engine aft of the wheels. The company says this helps Summit II deal with those landings where the aft carriage can strike the ground. Drawing further on knowledge from the ultralight aircraft industry, Summit uses a dynafocal engine mount technique to suppress vibration. (Dynafocal refers to aiming the mount attach points at the center of the engine's mass.) The Summit II uses an aircraft-like control yoke but is linked only to the nose wheel, and it works intuitively for ground steering-that is, turn right/go right. Most PPCs use less familiar ground-steering systems that puzzle airplane pilots. A hand brake is fitted to the left side of the yoke operating a drum brake on the front wheel. Of course, such a brake is useful only when the wing is not lifting that wheel off the ground. Flying The Summit I flew with George, who proved to be a good transition instructor. Getting things rolling in a powered parachute is different than with a fixed-wing aircraft or a weight-shift machine. First you begin to power up the machine, then you make sure your wing is inflated properly, and and only then do you add full power to continue the takeoff. In flight, you guide the Summit or most other powered parachutes with foot controls much like you steer a fixed-wing aircraft on the ground with your feet. But instead of the foot bars used on most PPCs, Summit uses foot pedals that travel back and forth on rails mounted on either side of the body tube fuselage. This likely will seem more intuitive to conventional pilots. The slideable pedals are secured to the rail top and bottom, and I found them to move quite fluidly. According to the company, the range of motion that's available from this sliding pedal arrangement gives more line action than the hinged foot bar method so that the pilot has a increased measure of control. The control range is enough, George says, that you hardly need to pull on the control lines with your hands to add input as is commonly done on other brands of powered parachutes. Approaching to land, a final goose of power just before touchdown slowed the descent rate and we touched down with excellent control. I estimate about a 1.5-second delay between a significant power input and response from the wing, so you need to plan ahead slightly. Ignoring this delay can cause the carriage to swing more under the canopy. While that's no issue aloft, you don't want such movement as you touch down. Most PPC manufacturers locate the main gear axle ahead of the engine weight, but Summit locates its axle a good 18 inches further aft. Combined with its main boom-type construction and adjustable hang point, it's unlikely Summit owners will experience a prop strike. Such events can occur when PPCs land with the aft end of the carriage hanging relatively low. Yet fitting powered parachute carriages with such a positive angle of attack is necessary if the parawing is to produce lift during a take-off roll. Summit's aft axle construction appears to better support the engine at all times. My test Summit II aircraft had an S-500 Mustang canopy. This parawing is made to Summit specifications and George described it as a common square parachute. An elliptical model called the Thunderbolt E-340 is available. In both cases the numbers refer to the square footage while the S stands for square and E for elliptical. Square is best for training according to nearly all powered parachute producers. While we flew at near gross under the S-500 Mustang, I observed the power used for various phases. During climb-out, we used about 6,200 rpm; during cruise, we used about 5,200-5,300 rpm. These values are not notably different from the average fixed-wing or trike ultralights. George indicated that with the Thunderbolt elliptical wing, 4,700 rpm would be sufficient, showing the added efficiency of the elliptical shape even though it has only two-thirds the square area. For landing, a 4,400-rpm setting produced about 300 fpm of descent on approach. Summit proved its technical ability by reaching special lightsport aircraft status first among all powered parachute manufacturers. Since its related businesses have shown they can produce a wide variety of aircraft and components, this should surprise no one. 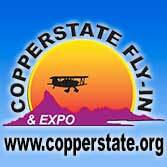 It's quite apparent the ASAP and its related companies have established a business model that intends to serve light-flight enthusiasts. Flying an ASAP or Summit machine may be your way of affordably getting into, or back into, the air. The Beaver and Chinook ultralight-like aircraft are arguably two of the bestknown lightweight designs coming from Canada. 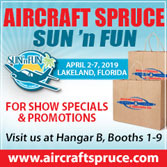 Aircraft Sales and Parts, more commonly known as ASAP, is the company that rescued and now manufactures and sells these designs, along with a powered parachute from its sister company, Summit Powered Parachutes. The tale of ASAP’s involvement with the Chinook and Beaver offers insight into ultralight progress – Canadian style. A History Lesson Perhaps the most famous ultralight to come out of Canada is the Beaver. With a reported 2,200 flying units since the early 1980s, it’s a successful design. However, due to corporate missteps by the companies that owned the brand, the Beaver series was nearly lost. Originally, the Beaver models were manufactured by Spectrum Aircraft Inc. Reorganization left the ultralight in the hands of a company called Beaver RX Enterprises. In 1993, that company closed its doors and stranded thousands of Beaver aircraft owners, along with all the dealerships that sold and serviced them. First-Ever Powered Parachute SLSA Approval! Summit offers a single place and this two seat SLSA certified Summit II model. The Canadian company also offers a Part 103 legal powered parachute, giving them the widest offering of any powered parachute provider. Summit Powered Parachutes beat a group of companies working toward the first Special Light-Sport Aircraft PPC. The Vernon, British Columbia, Canada-based powered parachute producer won their SLSA Airworthiness Certificate on Thursday, April 27, 2006. 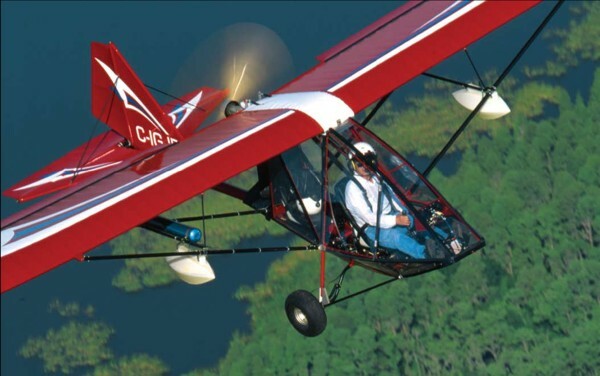 I flew and reported on the Summit II in the 11/03 edition of Ultralight Flying! Magazine. I found Summit II to be notably different than most other powered parachutes partly due the sliding rudder pedal-like foot controls used to steer the canopy that exhibited fluid action. Last November Summit won German certification in the only such approval by an American company with which I am familiar. This earlier certification may have helped Summit as they prepared for stating compliance to the quite different ASTM standards. Although the powered parachute standard has been done for many months, those producers have not rallied to the new regulation. All that may change now that Summit is out of the gate with their approval. STEEL BARS - The Summit's design differs from many others by using long bars on the side of each occupant to connect canopy to carriage. Summit has found an optimal separation for the fore and aft carriers and they say this permits a wide range in the weight seat occupants can be. INSTRUMENT PANEL - This clean and neat-looking instrument panel contains the electronic deck, which supplies several pieces of information. Additional temperature gauges flank the electronic box. CONVENTIONAL LOOKS - With a throttle in a quadrant-style mount, nosewheel steering yoke, and steering pedals, the Summit II looks more like a regular 3-axis ultralight than most other powered parachutes. BOOM TUBE - Like many other ultralight designs, Summit uses a central structural member to which other parts are secured. Large diameter tires are common among powered parachutes, making their touchdowns that much smoother. SUMMIT SS - Summit also makes a single-seater called the SS model. It has a sporty nose fairing and if you look closely you'll see a windscreen on this ultralight (reflection). INLAID SEATS - For $90 more you can have these nicely inlaid, multicolor seats. Fortunately, even the standard ones maintain the comfort and all come with secure seat restraints system. SLIM NOSE - The Summit's optional fiberglass instrument pod lends a leaner line to the design that will nonetheless hold some big occupants. This angle also affords a look at structure to protect those occupants. SUN CATCHER - The Summit II glints in the afternoon sun as we prepare for flight. The seats are roomy, well padded, separated from one another, and come with 4-point seat belts. CAPTAIN GEORGE - Pilot-in-command for our flight was George Wood, sales manager for Summit Powered Parachutes. He performed an excellent crosswind landing on a crowded airstrip. "RUDDER" PEDALS - Unlike any other powered parachute, Summit uses a wheel-guided pedal on a rail to provide airborne steering. Most designs use a foot bar. This will appeal to conventional pilots. As focus sharpens on FAA's proposed Light-Sport Aircraft regulation, the first aircraft segment to complete an ASTM airworthiness consensus standard is powered parachutes. While these aircraft are simpler, which helped speed the process, participating manufacturers got together well and hammered out their certification rules efficiently. Summit Powered Parachutes of Canada hasn't yet chosen to enter the Light-Sport Aircraft arena. They aren't worried, just wary of new regulations. In fact, the company started work under England's BCAR S regulation. Just recently, Summit was working to qualify for German DHV certification. They see no great challenge passing the proposed U.S. powered parachute standards, as currently defined. Fortunately, the proposed Light-Sport Aircraft is not the only destination in sport aviation. It may be part of the spectrum of aviation regulations. We're seeing more new designs tuned to Part 103. And the Amateur-Built 51% rule will still allow many 2-seat ultralights to be built and flown as they are today. So while government agencies churn through the proposed rule, buyers need not wait. Summit Powered Parachutes offers a single-seater, the Summit SS, which they say can easily make Part 103 (and it starts at a mere $8,500). If the Canadian company never pursues Light-Sport Aircraft certification, the 2-seat Summit II could eventually qualify for Amateur-Built. As proof of their ability, another company in the family, ASAP, qualifies for the 51% rule with their Chinook and Beaver fixed-wing ultralight designs. Happily, an aircraft's flight qualities aren't necessarily tied to the regulation under which it operates. Let's look closer to see how Summit Powered Parachutes found a way to enter a crowded field with a product done differently than its competitors. Canadian Summit To go aloft in the Summit powered parachute, we had to wait until the right time arrived. At airshows, powered parachutes are generally scheduled for morning and evening flying as that's when winds are lower for less experienced pilots. 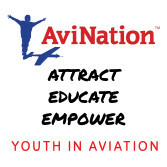 (As with most aircraft, more experienced pilots can operate in stronger conditions, but airshow organizers must accommodate less experienced pilots as well.) On a pleasant April evening with only a light breeze blowing, I flew with Summit Sales Manager George Wood. He provided most of the factory's comments used in this article. When I asked Wood about their powered parachute and why pilots ought to consider it over other brands, he offered a few points of difference. Summit says they're the first to use cell canopy stiffeners. These are thicker pieces of cloth sewn into the leading edge openings of the canopy's individual cells. They say this enhances canopy opening during the inflation period. Wood added that a year later several other manufacturers were using the same idea. Summit may not have been the very first to use distinct and separate seats for each occupant, but the ones on the Summit II are deluxe. Older powered parachutes (and trikes, for that matter) often use seating that presses the front occupant between the legs of the aft occupant. Many pilots, especially larger ones, find the individual seats more comfortable. The Summit's carriage will allow a much steeper (nose-up) angle with the ground on landing than other brands, more than three times higher, says Summit. This helps, as a large angle tends to cause initial contact only on the wheels and not far-aft parts such as prop guards or prop. Good piloting can prevent large-angle touchdowns, but when it happens a Summit will see less parts damage. The company uses all anodized finishes to their 6061-T6 tubing. This is common on fixed-wings, but Summit says most of their competitors use powder coating. While such painting can be done precisely, worker skill must be higher and still doesn't cover tubing the same as anodizing. Additionally, anodizing is thorough inside and out. And, because anodizing is not as thick as paint, it also allows fitting of precisely made parts. Anodizing costs more, says Wood, but the results are better, he feels. Precision parts come easily to Summit, as the company is part of a family of enterprises, one of which is a machine shop operation with numerous CNC machines. Further synergy comes from another member of the Holomis family empire. ASAP, which builds the Chinook and Beaver, rescued both designs from faltering companies and in so doing, kept these famous Canadian fixed-wing ultralight designs in the sky. The connection to fixed-wing ultralight manufacturing leads me to see the Summit as more airplane-like than most other powered parachute manufacturers, most of whom are pure-play enterprises engaged only in powered parachutes. My View of the Summit In addition to the factory's pitch, I observed other unique features of Summit's powered parachutes. Summit uses a central lower beam on their carriage not unlike many ultralight fixed-wings with their booms, or trikes with their keels. Summit calls that member a "body tube fuselage" and it distinguishes the design from other powered parachutes. Following this construction with riveted gussets, Summit was able to make a strong design that is lighter than some of their competitors. Indeed, among modern powered parachutes, only Six Chuter comes in as light as Summit models. Most other top brands are 25 to 50 pounds heavier for a comparable model. 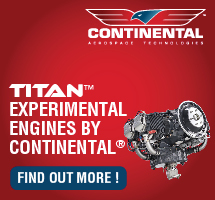 In any aircraft, lighter usually means more performance, or less engine needed, or both. Summit sliding foot controls are different from other powered parachutes and I imagine they appeal to pilots of other aircraft more so than the foot bars common to other powered parachute designs. The Summit II's throttle moves conventionally, that is, pushing the lever forward produces more power. While more common on powered parachutes today, a few brands are sticking with joysticks, where the throttle (that helps you climb) pulls aft for more power. In the past, I've had my struggles with this "backward" system and other conventionally trained pilots may also have difficulties adapting. (Yet, since powered parachute companies often claim to sell to nonpilots, a throttle may have no right or wrong action.) Summit positions the engine weight directly over the rear wheels where many powered parachutes place the engine aft of the wheels. This change helps Summit deal with those landings where the aft sections can strike the ground. Described by Wood as a "web plate," the main wheel construction is also derived from aircraft construction. Using knowledge from the ultralight aircraft industry, Summit uses a dynafocal engine mount technique to suppress vibration. 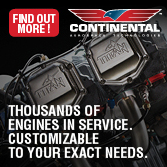 (Dynafocal refers to aiming the mount attach points at the center of the engine's mass.) The company says this is not common on other brands and my own examinations corroborate that statement. All Summit Powered Parachutes' 2-place units come standard with the electronic EFI unit by Taskem with the some useful info: tachometer, EGT, CHT, flight time, climb, and altitude. On the single-place Summit SS, you still receive the same instruments but the cowl is an option. If you don't select the option, you get a smaller instrument pod mounted atop a tubing construction. Given that Summit Powered Parachutes is based in Canada, you shouldn't be surprised to hear that a nose enclosure with windscreen is available to deflect a chilly wind. If you're still cold, they can tell you how to duct some engine heat into this space, allowing flight even in a cold Canadian winter. And, the company says it will eventually offer a full enclosure. The Summit's yoke is linked only to the nosewheel and it works intuitively for ground steering, that is, turn right/go right. All models, including the Summit SS, are fitted with a hand brake on the left side of the yoke. The lever works a drum brake on the front wheel and is useful when the canopy is not lifting that wheel off the ground. Summit doesn't want you to have to put your feet down to slow the chassis. Looking Around From the Summit Some fixed-wing pilots claim no interest in powered parachutes. While these ultralights aren't fast, they do offer some of the best views in powered aviation. Going aloft in one is now a delight for me since I adjusted my attitude. Wood proved an excellent instructor as I learned these machines better. Before committing to takeoff, Wood's technique to assure a fully inflated canopy is to look over each shoulder and examine just the wing tips, only the last cell or two, rather than move his head to see the entire canopy. He says that's sufficient and if you look directly overhead to check canopy inflation - as I once did on a solo flight - you can lose focus on where you are going. For training, Wood says, students are given a convex mirror to help them check the whole canopy. When the student becomes comfortable, the instructor removes the mirror and has the student use the over-the-shoulder technique. When teaching flight in powered parachutes, a student starts in back and moves to the front as the instructor sees aptitude. From the rear seat and using a dual throttle arrangement, Wood can instruct while maintaining control over all but nosewheel steering. He can't reach the steering pedals either but in flight, he can pull on steering lines to turn the aircraft should the student fail to use adequate control. Since the wind suddenly picked up while we were flying, I got a lesson in crosswind technique. Wood recommends using a consistent crab angle until you get down near the ground and then turning into the wind. Except for crossing the runway at a sharp angle, the technique didn't seem notably different to what you'd use in a fixed-wing. Rollout on a powered parachute is much shorter than any fixed-wing or trike, so crossing the runway presents little problem. The whole time you operate in a crosswind, you are suspended toward the upwind side of the canopy, with the canopy positioned downwind relative to the carriage. You wouldn't want to land with the canopy off to one side, so as we established short final on landing Wood made sure we had the canopy directly overhead. Had it not stabilized - with help from a last-minute wind direction change that lined up with the runway - Wood said he'd consider going around for a new approach. A final goose of power just before touchdown slowed the descent rate and we touched down with excellent control. I estimate about a 1.5-second delay between a significant power input and response from the canopy, so you need to plan ahead slightly. Ignoring this delay can cause the carriage to swing more under the canopy. While that's fine aloft, you don't want such movement as you touch down. As opposed to the more customary powered parachute location for the main gear axle - ahead of the engine weight - Summit locates their axle a good 18 inches back. Combined with its main boom-type construction, the Summit looks highly unlikely to allow a prop strike. Such events can occur from the way powered parachutes land with the aft end of the carriage hanging relatively low. Yet fitting powered parachute carriages with such a positive angle of attack is necessary if the parawing is to produce lift during a takeoff roll. The Summit's aft axle construction better supports the engine at all times. With its weight better distributed, and spreading out that weight using the long stainless steel attachment bar, Summit appears to offer further potential to stabilize the carriage on the ground or in flight. As we touched down in windier conditions, Wood showed me how he prefers to pull vigorously on the trailing edge lines to assure the canopy deflates where and when he wants. Were it to keep flying - and the canopy readily wants to do so - you could be pulled backward or even lifted somewhat. Handling and Performance Instead of the foot bars of most powered parachutes (and except for ParaSki's handlebar method), Summit uses foot pedals that wheel back and forth on rails. This may seem more intuitive to conventional pilots. The slide pedals are secured to the rail top and bottom, and move quite fluidly. The range of motion that's available from this sliding pedal arrangement gives more line action than the hinged foot bar method, Summit says, so that the pilot has an increased measure of control. The control range is enough, Wood says, that you hardly need to pull on the control lines to add input as is commonly done on other brands of powered parachute. To compensate for a skiing injury he once sustained on his right leg, Wood has his personal rig set up so he has a 1:1 action on the right pedal. The left pedal is standard at a 2:1 ratio of movement to control input. Wood's right leg thus has to move twice as far but has only half the pressure required. Despite a peppy and smooth-running Rotax 582, climb was only 500 fpm from 65 hp. Of course, all parameters of performance seem significantly better with an elliptical canopy. My 2-place test Summit aircraft had an S-500 Mustang canopy. This parawing is made to Summit specifications and Wood described it as a more common square canopy. An elliptical model called the Thunderbolt E-340 is also available. In both cases the numbers refer to the square footage while the "S" stands for square and "E" for elliptical. Square is best for training, Wood says, and nearly all other powered parachute producers echo him. Choosing elliptical is a personal choice. The Thunderbolt allows you to see as much as 40 mph forward speed, says Wood. For the same carriage, an elliptical produces lift more efficiently as well. While we flew at near gross under the S-500 Mustang, I noted the power required for various phases. During climbout, we used about 6,200 rpm; during cruise, we used about 5,200 to 5,300 rpm. These values are not far off from the average of fixed-wing or trike ultralights. Wood indicates that with the Thunderbolt elliptical canopy, 4,700 rpm would be sufficient, showing the added efficiency of the elliptical (more wing-like) shape even though it has only two-thirds the square area. A 4,400-rpm approach setting produced about 300 fpm of descent. Use of stainless steel canopy attachment bars allows Summit to spread out the load longitudinally such that a single occupant in the front seat can range from 150 to 280 pounds. Many powered parachutes use a single point attachment (on each side), though Summit isn't the only one using fore and aft attachments. I'm not aware of others using stainless steel for this attachment component, however. By moving the attach brackets on these stout stainless steel members, Summit says their model can accommodate up to a 300-pound pilot in the front with no one in the rear. Americans big enough to need such a configuration should be pleased someone is considering them. Although it looked a little dainty to me - compared to similar constructions on other carriages, Powrachute and Skymaster for two examples - Summit personnel assured me the roll bar up front has already demonstrated its capability. It may crush a bit, they say, but the circular design can take a lot of punishment. 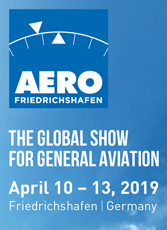 Should any problems occur with their aircraft, Summit president Brent Holomis observed that his company sends out Airworthiness Directives (AD) to help owners comply with necessary changes. This happens all the time in general aviation and it is a sign of manufacturer integrity. Holomis believes Summit may be the only powered parachute manufacturer that issues ADs. Your Own Summit? Wood and I flew the Summit II model. The company also offers the single-place Summit SS. Both single- and 2-seat models come with various engine choices, including Simonini, Rotax and HKS. Holomis said in late September 2003 that they are now reinvestigating Hirth engines, due to consumer requests. "We have some Hirths on the floor now," Holomis says, "but with any new powerplants, we're being very careful after a poor experience with the MZ engines." The 2-place Summit II starts at $12,950 with a 50-hp Rotax 503. Our test aircraft had a few options such as Rotax 582 with electric starting (the package adds $2,200), rear foot pegs ($20), custom inlaid seats ($90), jumbo tires with spun aluminum rims ($200), and the instrument cowling ($250). A full cowl as seen in the single-place photo runs $400, and factory building adds $750. Instructors will want the dual throttles for $70 additional. Don't forget to factor in crating and shipping, which varies depending on where Summit must ship your ultralight. Wood assured me you could refer to their Website for pricing information and specifications as they keep the site up-to-date. Prospective buyers will be happy to find prices quoted in both U.S. and Canadian funds. The single-place model uses all the same construction as on the 2-place models, including the fat stainless steel bar; it is simply somewhat shorter in length. For the Summit SS, you can select the optional fairing or stay with an open-air version. If you choose the latter, Summit says you can easily fit within Part 103, "even with electric start." They refer to an SS with a Simonini single-cylinder engine generating 45 hp with a belt drive and electric starting. The price of this model is $8,795, more than $4,000 (U.S.) less than a basically equipped Summit II. Even with a Rotax 503 and pull starting, the single-seater comes in under $10,000 complete. Summit Powered Parachutes offers two interesting choices for new pilots or enthusiasts of powered parachute flying. I've got to try that Summit SS sometime, but you'll definitely enjoy the experience and the view from a Summit II. Notes: 1 For standard Apco PW500 canopy; Summit also offers canopies from Apco and Chiron that carry 950 pounds gross and which cruise up to 40 mph. Standard Features Rotax 582, instrument console with multifunction electronic monitoring, separate seating with 4-point belts, choice of carriage and canopy colors, 3-blade GSC prop, Azusa mag-style wheels, front wheel brake, canopy bag, line socks, roll bar system. Options Rotax 503, HKS 700E 4-stroke engine, Rotax 912, possibly Hirth engines, various canopies including elliptical, electric starter, composite prop, additional instruments, composite instrument cowl, windscreen, factory-assembled option, dual throttles, full enclosure coming. Construction Aluminum airframe (tubing anodized inside and outside), 4130 chromoly, stainless steel, AN hardware. Made in Canada by Canadian-owned company. 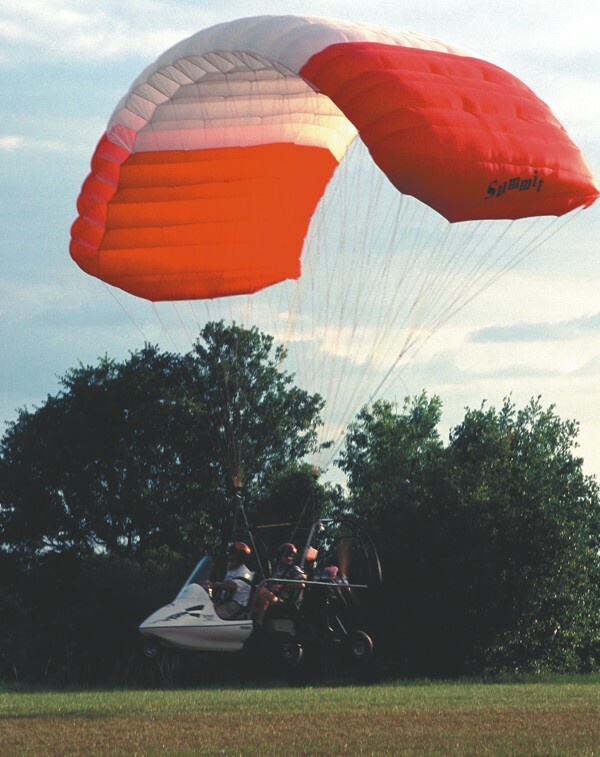 Pros - Summit Powered Parachutes took a new approach to the carriage; built with fixed-wing methods. The Summit II utilizes a long side bar to mount the canopy from four points, leaving it less vulnerable to misloading. Steering method is unique and can suit pilot-specific adjustments (see article). Light among comparable designs; helps performance. Cons - Some critics of multiple mounts suggest maneuverability is less (though I was not able to detect this). Rollover hoop looks too delicate (though factory personnel say it has proven itself). Canopy wings hardly differentiate on powered parachutes as the same suppliers are mostly used. Pros - Since powered parachutes are simple flying machines they aren't heavy on systems, which is a good thing in my mind. The Summit has a nosewheel brake; lever on yoke. Flight steering pedals are adjustable. Rear seat holds fuel tank. Excellent repair access to all parts of carriage. Cons - For those who like to manage systems, the Summit will be a disappointment; it's quite simple. Optional electric starting will prove valuable; pull starting from the front seat means a long rope run. Trimming a powered parachute is something you do with lines on the ground and it's important to get it right. Pros - Individual, and very comfortable, seats are used so the occupants are not touching. Space in both seats is generous. Four-point seat belts. Pedal positions can be rigged for different pilot sizes. Rear seats may have fold-down foot pegs to rest feet. Windscreen available; full enclosure planned. Cons - Access to the rear seat is more challenging due to the side bars used to attach the canopy. Foot pedal adjustment isn't quick for changing pilots. An aft throttle is optional but necessary for instruction. No cargo storage (though it's unlikely you'll fly a Summit cross-country). Aft instruments only by custom fitting. Pros - Right-way steering, that is, turn right (with the yoke)/go right. Brake fitted to front wheel; hand lever is on yoke. Excellent shock absorption (common on powered parachutes). Engine and airframe weight is well positioned over the gear, an improvement on other powered parachutes I've flown. Good ground clearance for rough field landings. Cons - Taxi turn rate is rather slow but ground maneuverability isn't a particular need with powered parachutes; they're normally pushed to a takeoff position. Braking power is modest and hand levers don't allow much leverage (though brakes are hardly needed on powered parachutes). Pros - Ground roll is fairly short, 150 feet± helping to confirm a light structure. Sliding steering pedals work smoothly and can be rigged for differing mechanical advantage (see article). Excellent visibility in nearly every direction (a common powered parachute trait). Cons - Crosswind landings must be set up well or going around can be the best bet (if the engine is performing properly). Canopy wings aren't known for retaining energy; you need to get landings right or go around if possible. Sole approach angle aid is using both foot pedals to slow speeds slightly. Pros - Throttle is arguably the most important control on a powered parachute; Summit's works conventionally to most pilots (lever forward = more power). Sliding steering pedals offer mechanical advantage to make turning and flaring easier. Maneuvering is much more responsive than fixed- wing pilots think. Cons - Sliding steering pedal actuation is not standard in powered parachutes; may affect resale. Precision turns to headings take practice. Foot pedals take generous physical effort. If your legs aren't up to it, adjustment is possible but response is lessened by relieving pressure (which is why some pilots also pull the steering lines with their hands). Pros - Powered parachutes excel at low-over-the-field flying. Summit claims 6:1 glide out of their top canopies - a good gain over the more common 4:1 for a square canopy. With an elliptical wing, speeds can exceed 40 mph (if that'll be fast enough for you). Summit's innovation of stiffened cells in the canopy reportedly aids inflation efforts. Cons - Powered parachutes are not for cross-country (though some long flights have been made). Climb seemed rather weak at about 500 fpm from a Rotax 582's 65 hp (probably better with a higher performance canopy). With a square canopy top speed is limited to 30 mph, forcing operations in lower wind conditions. Pros - Secure restraints will keep you in the seats. Dynafocal engine mount reduces vibration. Engine weight is over the axle; better support and more angle allowance before aft frame touches, avoids damage to aft components. No adverse yaw effect (though pendulum swinging can occur with crude throttle movements). Cons - Though company says the overhead roll bar is robust, it does not look as strong as some other powered parachute brands. Airborne stability in powered parachutes is very good, but elliptical canopies are not for the inexperienced (Summit, like all good builders, steers new pilots to square canopies). Pros - Summit Powered Parachutes is associated with ASAP, long-time builders of the fixed-wing Chinook and Beaver ultralights of Canadian fame. Company used this synergy to make a different product in a field of look-alikes. More aircraft-like construction may appeal to pilots. Design's innovations should help on resale. Dependable company to associate with after purchase. As focus sharpens on FAA’s proposed Light-Sport Aircraft regulation, the first aircraft segment to complete an ASTM airworthiness consensus standard is powered parachutes. While these aircraft are simpler, which helped speed the process, participating manufacturers got together well and hammered out their certification rules efficiently. Summit Powered Parachutes of Canada hasn’t yet chosen to enter the Light-Sport Aircraft arena. They aren’t worried, just wary of new regulations. In fact, the company started work under England’s BCAR S regulation. Just recently, Summit was working to qualify for German DHV certification. They see no great challenge passing the proposed U.S. powered parachute standards, as currently defined. Fortunately, the proposed Light-Sport Aircraft is not the only destination in sport aviation. It may be part of the spectrum of aviation regulations. We’re seeing more new designs tuned to Part 103. And the Amateur-Built 51% rule will still allow many 2-seat ultralights to be built and flown as they are today.